From Gretzky to Tavares, Shanahan to Stamkos, Canadian-born NHLers recommend playing lacrosse in the spring/summer to improve hockey skills. 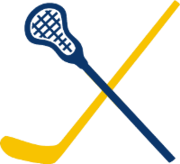 Both hockey and lacrosse are high tempo, physical team sports that have similar elements to the game. Both sports utilize 5 players and a goalie, three periods and strategy of developing odd-man situations to create scoring opportunities. Hockey players excel in Lacrosse. And, in turn, they become markedly better hockey players. Here is a short list of famous hockey players who benefited from playing lacrosse! Dave Andreychuk, Adrian Aucoin, Matt Barnaby, John Barrett, Brian Bellows, Jack Bionda, David Bolland, Connor Brown, Dustin Brown, Codi Ceci, Gerry Cheevers, Paul Coffey, Paul Coffey, Lionel Conacher, Max Domi, Rick Dudley, Ben Eager, Jordan Eberle*, Dan Ellis, Doug Evans, Doug Favell, John Ferguson, Sam Gagne, Ryan Getzlaf*, Doug Gilmour, Wayne Gretzky, Seth Griffit, Cody Hodgson, ​Gordie Howe, Paul Kariya, Chris Kunitz*, John Maclean, Connor Mcdavid, Ron Meighen, Sean Monahan, Matt Moulson, Riley Nash, Joe Nieuwendyk, Darnell Nurse, Adam Oates, Bobby Orr, Darren Pang, Bob Probert, Kyle Quincey, Mike Ridley, Brett Ritchie, Nick Ritchie, Gary Roberts, Gary Roberts, Cliff Ronning, Joe Sakic, Marc Savard, Brendan Shanahan, Devin Shore, Shawn Simpson, Brendan Smith, Reilly Smith, Steven Stamkos, Mark Stone, Ryan Strome, John Tavares, Jonathan Toews, Kyle Turns, Jason Ward, and Jason York.